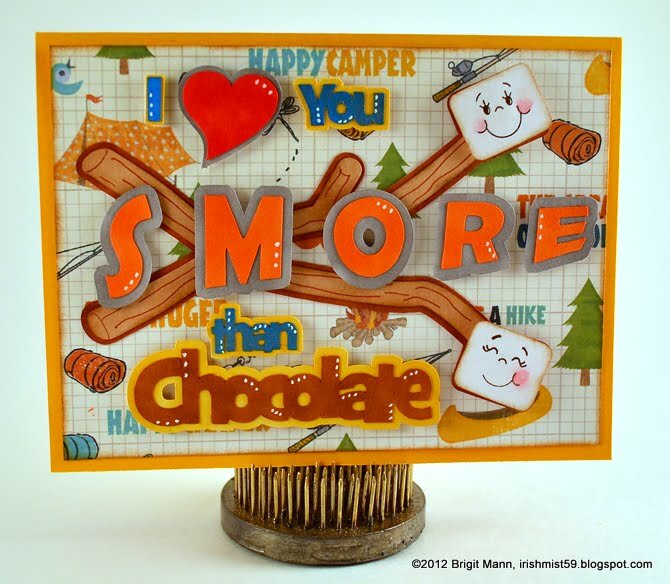 This card was inspired by the ATC swap I just finished, I liked the design of the cards to much I wanted to make a greeting card with it. 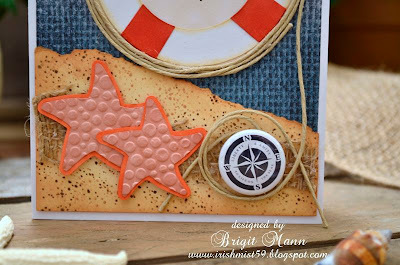 The life preserver I created myself in eCals, the starfish is from SVG Cuts Wet and Wild Kit. 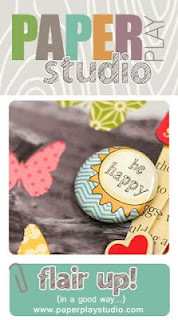 But what I really wanted to do was use a flair that I received from fellow SVG Cuts Design Team member Tamara, http://happylifecraftywife.com, she opened her online store Paper Play Studio and sells the cutest flairs. They just add that perfect touch to your projects. There is a nice assortment and more are added each week, I just love seeing the designs Tamara comes up with! 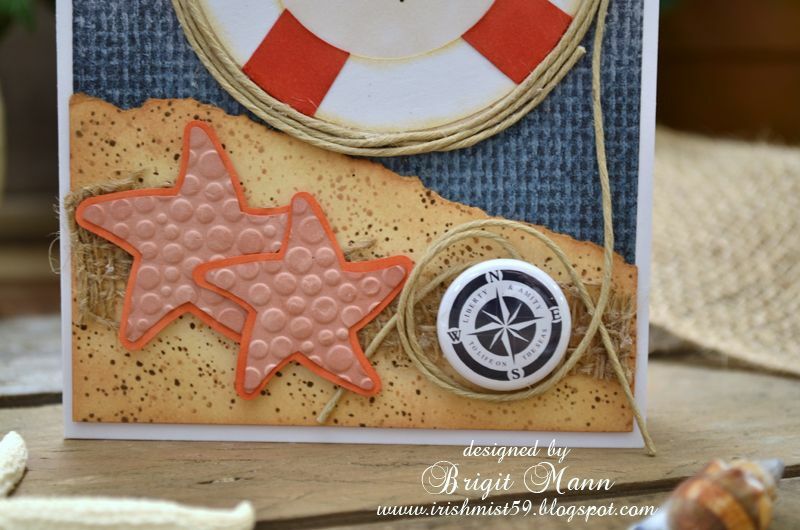 Here I used one from the Anchors Away set, so cute! A closer look, they really are very nice. So check out Paper Play Studio today and make sure you join the Facbook page so you don't miss out on any special offers or giveaways!! This card is from SVG Cuts new kit Miss Baker's Classroom, but instead of using it as a schoolhouse I thought it would make a pretty white country church in winter to use as a Christmas card. All I did was cut everything in white and gray instead of the traditional school house colors. The snow is created using a mixture of shaving cream and white glue. Less glue the shaving cream will stay more puffed, more it's not as puffy when it dries. 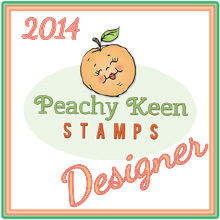 The stamp is from Punkin' Patch Stamps O Holy Night set. I've been seeing so many great projects with Unity Stamps I just had to pick some up. I ended up joining their kit of the month club and I'm so happy I did. This stamp is from this months kit, I couldn't wait to use it with the glass of lemonade from A Day at the Carnival collection from SVG Cuts.com. I scanned the stamp so I could cut it out with my eclips and stamp on it, I also created a shadow layer. I sized the glass to the stamp scan so it would fit nicely, I think it came out pretty good. For the ice I used the die from the Christmas Morning collection and the paper is from Echo Parks Hello Summer digital pack, love the colors!! 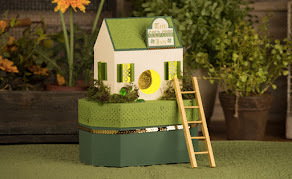 The Enchanted Sparrow Paperscape is one of my favorite kits from SVG Cuts. It make such a beautiful wall hanging and when you pair it with other kit or collection you get a whole new theme. I made a winter scene using snowman paper, changing the flowers for holly and the sparrow for a cardinal. The minute I saw the new collection Twilight Fairies I knew I had to use them together, I really like how it turned out. 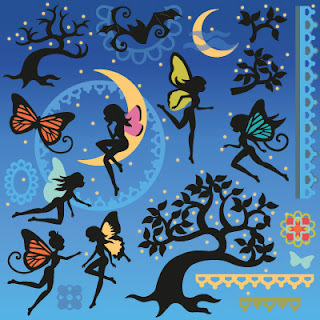 So if you are looking for a nice home decor kit, check out Enchanted Sparrow Paperscape. The background paper is from Echo Parks Great Outdoors Mini Theme and the front is also from Echo Park, LeBallet du Grand Mini Theme. 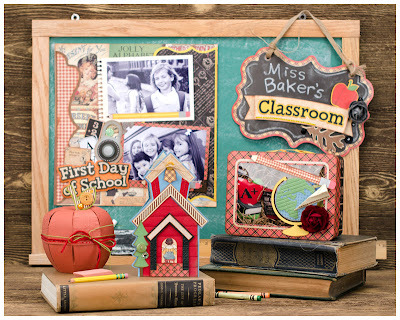 Spend $9.98 and get this kit free this week, use code FREEGIFT in the discount coupon section. Here is another folded Christmas Tree card using SVG Cuts Christmas Cheer kit. This time I used blue paper with red buttons, I distressed the edges and inked, I also stitched around with blue marker. Can't wait to make all seven, each one is so pretty and unique! 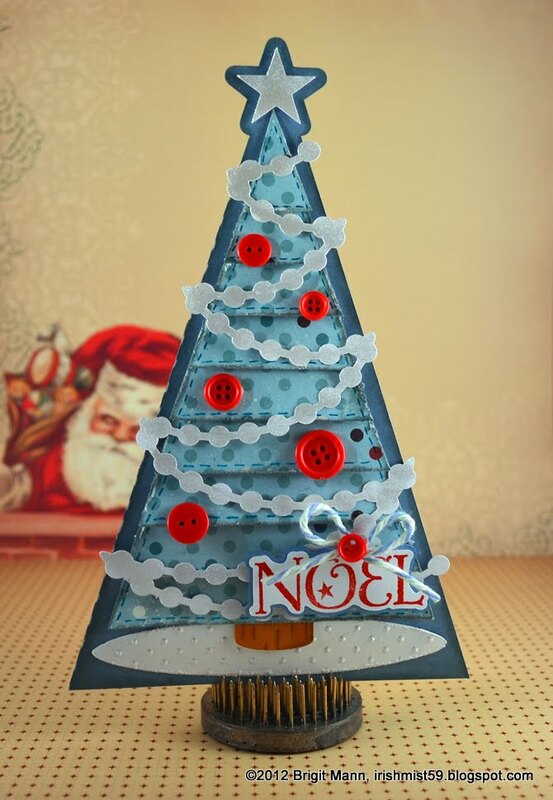 The Christmas Cheer kit is free this week with a $9.98 purchase, just use FREEGIFT in the discount coupon section at checkout! 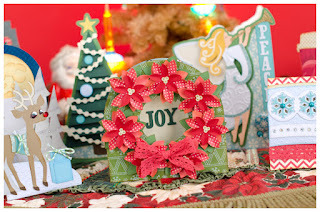 I'm totally lovin' the new kit Christmas Cheer that SVG Cuts came out with today. Making cards is what I do mostly so this kit was perfect! 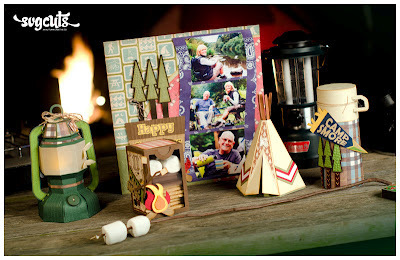 The kit has 7 cards and is free this week with a $9.98 purchase and they have wonderful kits and collections. Just remember to put FREEGIFT in the discount code section when checking out. 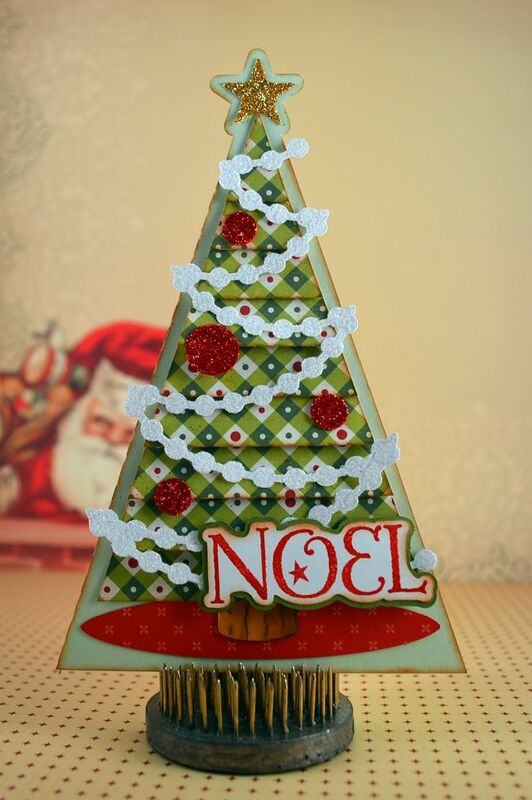 Here is one of the cards I made from the kit, it's a folded Christmas Tree which goes together so quick and is so adorable! I definitely think I'll be sending some of these out Christmas. 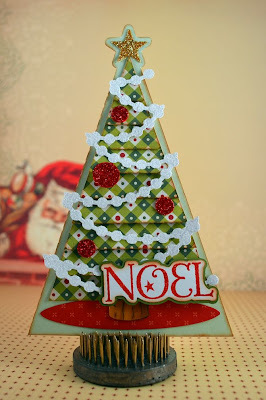 All cuts are from the kit and the noel is from Punkin' Patch Stamps Gingerbread Kisses set. 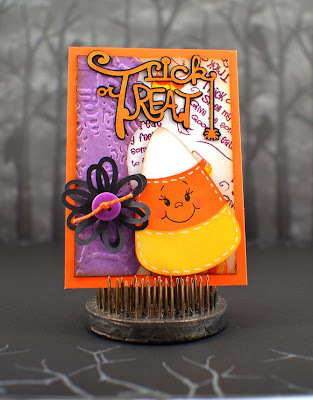 Though I always focus more on my die cutting I have to say I just love my Punkin' Patch stamps too!! They are nicely made stamps which produce a very clear image. They cling perfectly to the block and to their cling sheet, I've had trouble with other brands of stamps not clinging good at all which results in a smudged image. 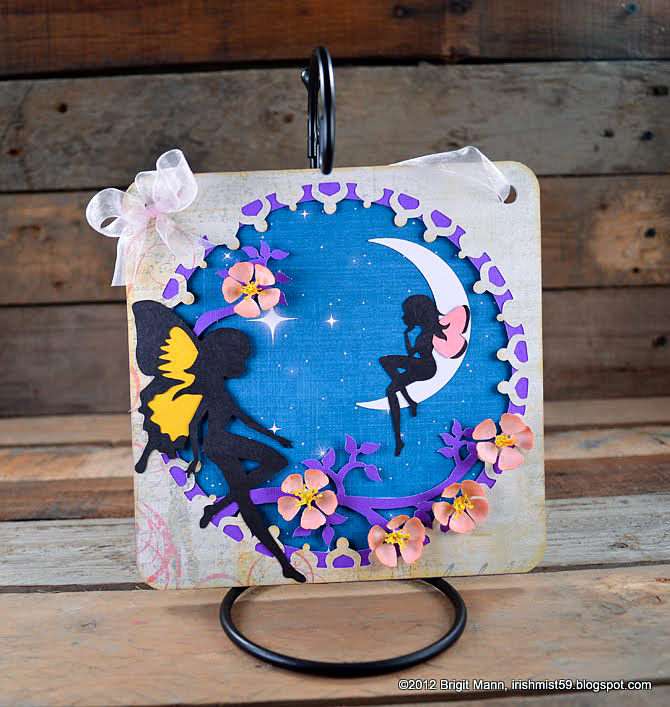 What's great is SVG Cuts incorporates the stamps into some of their kits and they also have free stampables you can download and cut with your machine. I like to create a shadow layer for them to give them that added pop, they really come out great! I just received a couple more sets and I LOVE them!! I was playing around and made some background paper from the Little Monsters set and then used a couple from the Witching Hour to finish off the card, so much fun! I just made my first ATC, (Artist Trading Card), I totally loved making it. It was so quick and easy to put together and I didn't have to worry about an inside, so I think I will be making many of these. 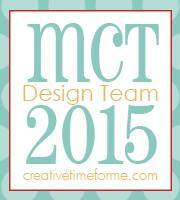 The measurements of an ATC is 3 1/2 x 2 1/2, they are perfect for swaps, which is why I made this one. I joined a swap over at SVG Cuts Facebook Forum page so I wanted to make a practice one just to see how small the piece will be. Speaking of small pieces that spider is so tiny and it cut beautifully on my Sizzix Eclips, I just love this machine so much! I made my own background paper using the Little Monsters set from Punkin' Patch Stamps, I just love their stamps. 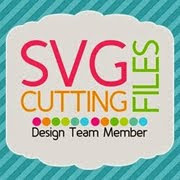 All svgs are from SVG Cuts, and the face is a Peachy Keen Stamp. 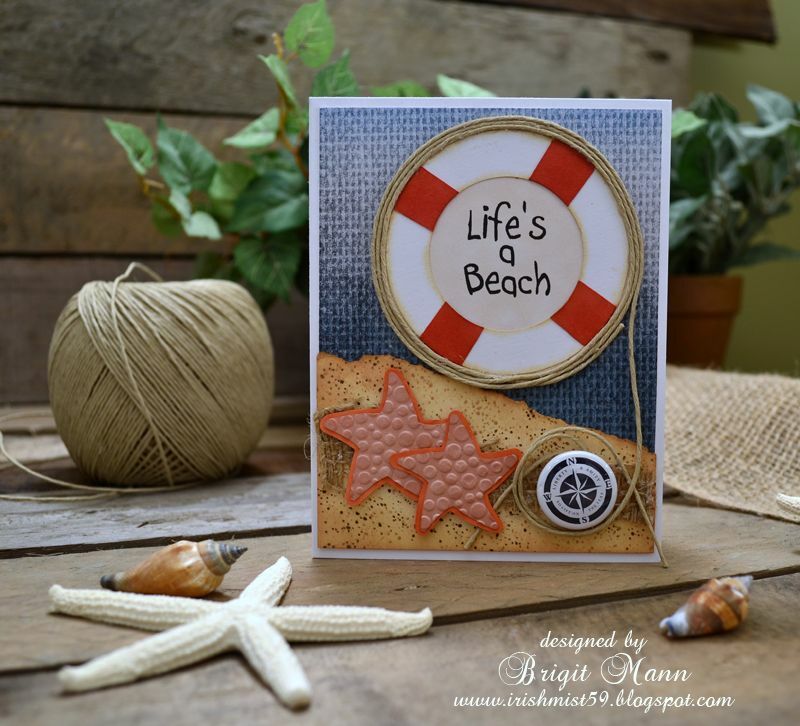 Sometimes you just want a quick easy card, and the kit I usually turn to is SVG Cuts Shaped Cards and Envelopes. An embellishment or two, a stamped sentiment and you have a pretty little card to give. I also used the butterfly from Mothers Garden and the flower centers from 3D Flowers kit. For the center I used my Epiphany Crafts Shape Studio Tool, Round 25.